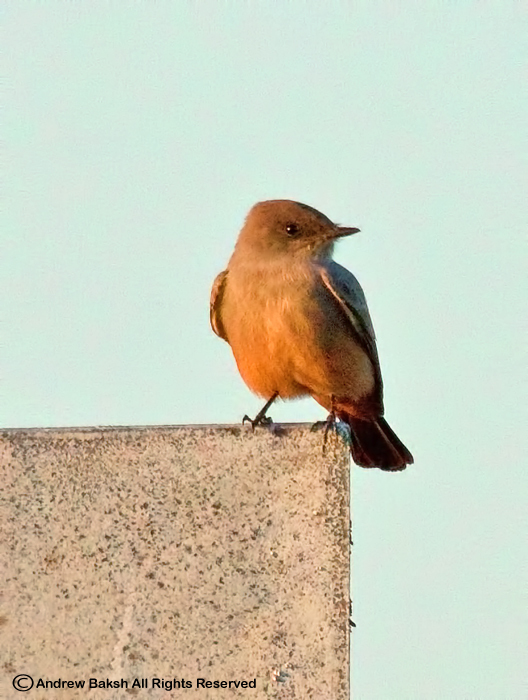 Another Say's Phoebe was found this morning by Joan Quinlan at Robert Moses State Park field 2 on the beach. The bird was later re-found by Shai Mitra, near the the southwestern corner of the parking lot at field 2 near the golf course. The bird then went missing until late this afternoon when it was re-found by Bobby Kurtz. After taking a call from Bobby who let me know he had re-found the bird, I went to Robert Moses State Park and with the light fading managed to see my second Say's Phoebe of the week. Here is a photo. Today's Photo - Gulls...but which ones?